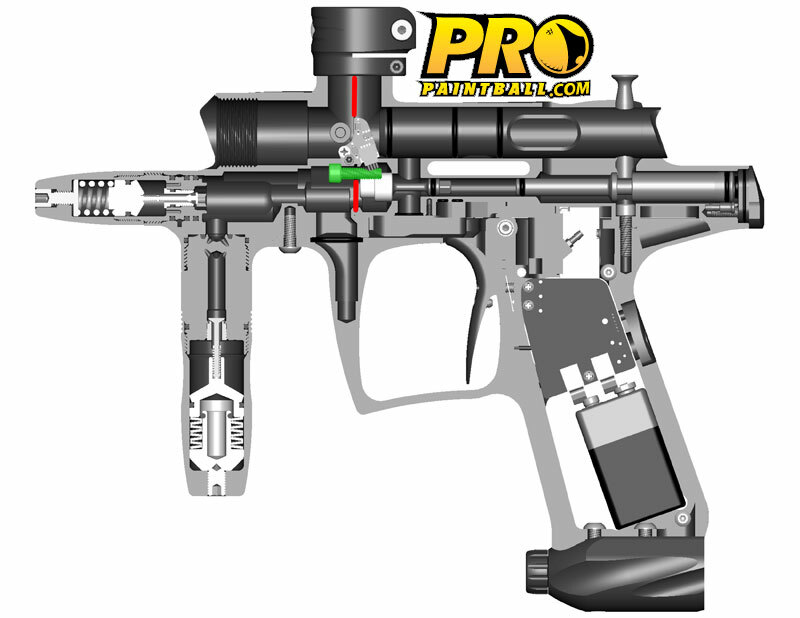 A few months back, PRO Paintball published a sneak preview of the new Intimidator G6R, showing off the internals and a providing a first look at one of this seasons most highly anticipated paintball gun releases. Master engineer and veteran pro paintball player Bob Long has returned to his roots to redesign one of the best selling electronic markers in competitive paintball, the Intimidator. Paintball history buffs will recall the original Intimidator prided itself on speed and efficiency, setting standards for paintball guns for years to come. Configuration: Electro-pneumatic. Open bolt. Stack tube poppet valve. Intended Propellant: Compressed air or nitrogen only!